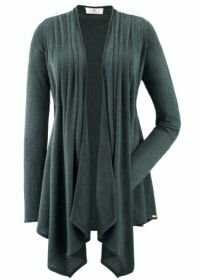 This jacket is cut longer in the front and can be worn open or closed. The jacket complements many outfits and can be worn post birth as well. 100% Viscose. Hand wash cold. Imported. If you have any questions about this product by Belly Button, contact us by completing and submitting the form below. If you are looking for a specif part number, please include it with your message.